Nick Gavin had come to see his old friend Fred Westfall. Fred called him talking about trouble, needing help. Now Nick is standing in Fred’s front yard with a gun in his hand. Fred ... Fred is dead man, lying at Nick's feet. Looks bad for Nick as the cops pull up, siren wailing. Fred’s wife, Angel, watches as the cops haul Nick away. Nick sees two shadowy figures escape in the darkness. Nick is grilled by the cops but they eventually have to let him go after parrifin tests show that he didn’t fire the gun. Nick immediately sets out to investigate what happened to Fred. Soon after being released by the cops, Nick is waylaid by some thugs who beat him up and torch his car. It’s a warning, they want him to leave Fred’s death alone and get out of town. Despite the beating, Nick manages to pull himself together and continue his investigation. Nick visits Fred’s brother Owen, a boat dealer. Owen tells him that Fred deserved what he got, that he was involved in the theft of several of Owen’s boats. Fred was the Cain to Owen's Abel. Owen accuses Nick of being an accomplice and tells him to get lost. Nick has some doubts about Fred but just can’t convince himself to believe Owen. Eventually Nick feels the heat is off enough to question Angel, and probe her he does. Angel is a mad-woman and Nick becomes convinced of Fred's innocence. He eventually finds himself in the middle of a complex criminal scheme and he has to navigate treachery, death and the cops while trying to unmask Fred’s killer. 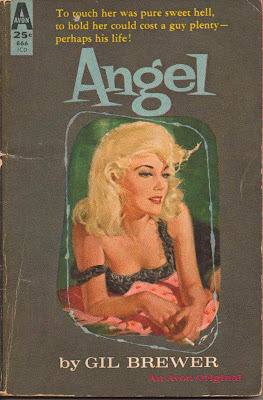 At 96 pages, Angel is short. 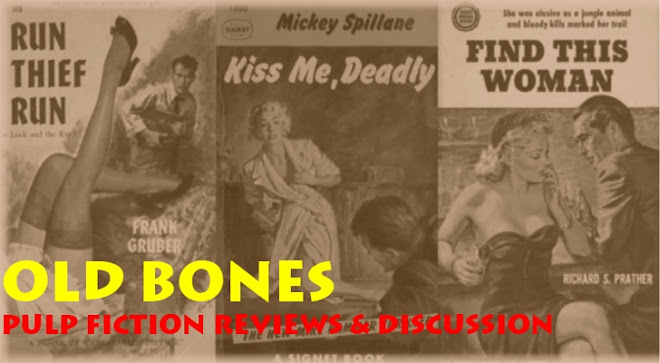 Brewer easily holds the reader’s attention with some of his better quick hard-boiled prose. I was pleased that the story didn’t become too much of a typical “man wrongfully accused” tale, of which there are way too many among my stack of PBOs. 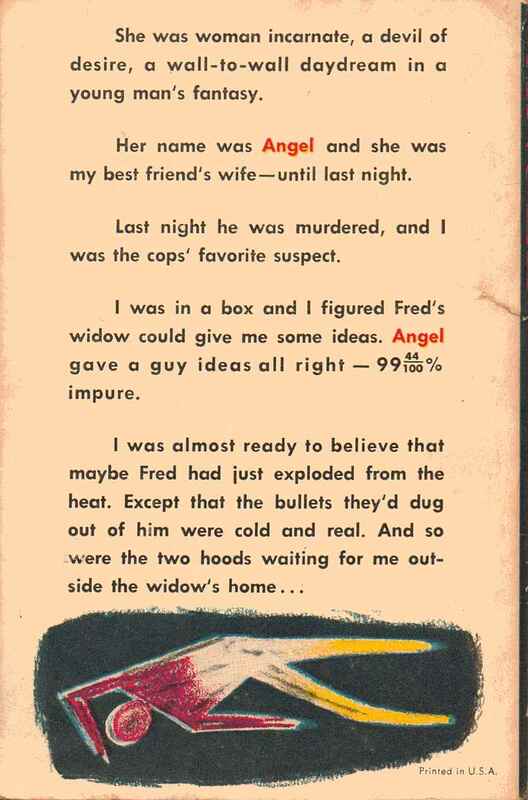 Rather, Angel stayed tightly focused on the central characters and Nick’s investigation. 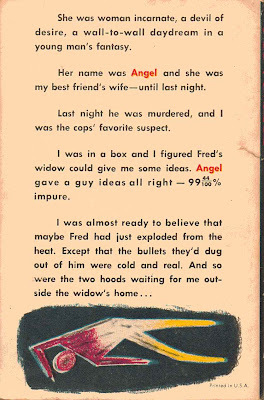 A lightning quick and hard little noir, Angel is worthy of your attention if you're lucky enough to run across a copy. Cool. Though paperbacks ain't pulp the way that ska ain't reggae. A valid point and a minor edit made. Though I refuse to avoid calling this material pulp fiction. After all, according to Wikipedia, "The term pulp fiction can also refer to mass market paperbacks since the 1950s." We all know one may not argue against the authority of Wikipedia. A tomato may be a fruit but it is considered a vegetable for culinary purposes. And don't forget, a blueberry is red when it's green. Gotta get me some Brewer.